There are two basic knitting supplies you'll need to get your knitting started - a comfortable pair of knitting needles and yarn that isn't too slippery or too bumpy. I would recommend medium weight knitting yarns such as DK and Worsted Weight which produces about 4-5.5 stitches per inch. The label on the yarn will tell you that. (see how to read yarn's label in Knitting Yarns section). Try choosing yarn that is smooth in texture and not too slippery. Wool and cotton yarns are good choices in this respect. 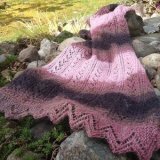 You'll be pulling and tucking stitches if choosing bumpy yarn. 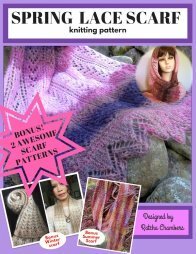 I discuss more about knitting yarns in a knitting yarn section. Next, you'll need a good pair of knitting needles. There are a ton of knitting needles in the market these days - straight needles, circular needles, bamboo needles, aluminum needles, plastic needles and so forth. 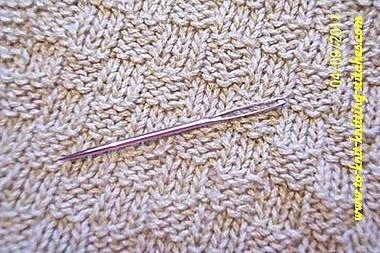 Choose medium gauge needles for the beginning knitting because they are easy to handle (not to big nor too small). There are also square needles that just recently been on the market. I've read many good comments and some negative comments about them. Many knitters swear that they're good for people with arthritis and that they won't roll away when you drop them! I would suggested that you pick the yarn you like first, then look at the label on your selected yarn to see what needle size is recommended. 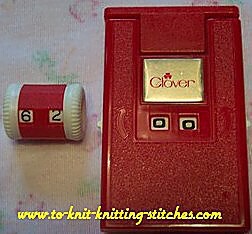 Then you can easily decided on your knitting needles. Normally, needles that are size 6 and 8 commonly used with worsted weight yarn. I would recommend bamboo circular needles because it's not as slippery as aluminum needles and they are FUN to knit with. Why circular needles? Because they don't take much elbow room. You can take you knitting anyway - metro, bus, airplane (but check your airline's policy before taking your needles with you) and other limited spaces. I personally prefer circular knitting needles more than others. I just love them! It's a good idea to have knitting needle caps so you don't lose those pretty stitches you work so hard for it. Don't need to buy expensive caps, a cheap plastic ones will do. 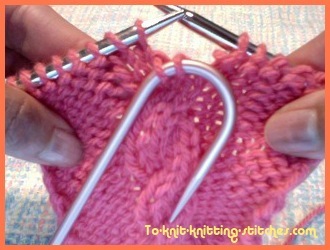 Put them on each end of the needles when you stop knitting to prevent stitches from slipping off needles. 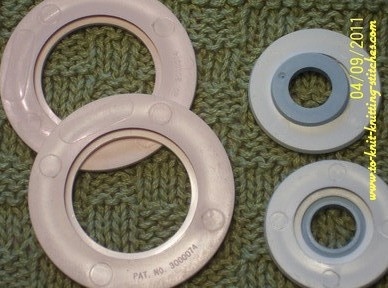 Once you have those knitting accessories ready, you can go right to Cast On Instruction page. Casting on is a foundation of knitting. We must cast on before we can move to the next row. See you at Casing on instruction page! Follow these steps or go to Lesson Plan and you'll be on your way to become a great and happy knitters. Step # 1 Practice Casting On Knitting Method. Find the Method you most comfortable with before moving on to next step. Step # 2 Practice knit, purl stitches and bind off techniques. Step # 3 Practice easy projects for the beginning knitter such as wash clothes, dish clothes, scarfs, or hats. Step # 4 Submit and share your knitting photos with us. Stitch holder : as its name implies stitch holder is used for holding stitch(es). For example, holding shoulder stitches while waiting for another side to finish. 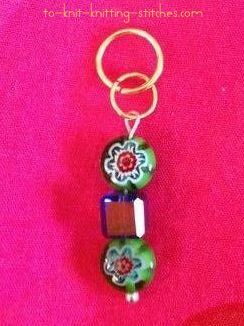 Stitch marker is helpful when you want to mark area you want to increase or decrease or at the end or beginning of round. Cable needle is for cable knit. It holds stitch(es) at either in front or back of the work allow you to jump over and knit the required st(s) that comes after the one you're holding. Pom Pom Rings create fun pom pom for hat or anything you like. Crochet needle is very helpful when dropping a stitch. You can just hook it right back up. Crochets come in various gauge sizes just like knitting needles. I like to crochet chain stitch edging for my skirts and make decorative flowers for my projects. Row Counter is a must have when working in pattern, decreasing and increasing. It helps keep track of your work. Sometimes you may need two of these for one project. Tapestry needle is required when sewing pieces together. It has a big eye and bunt end.